Over at the Silhouette Plus Forum it is time for another challenge. Leaves are changing colors, there is definitely a chill in the air and mounds of pumpkins are seen everywhere. 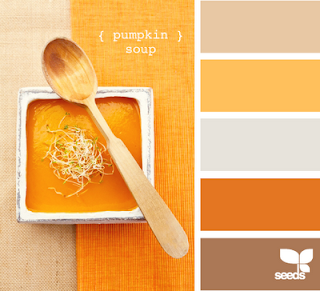 So in celebration of Autumn we will be using the color palette from Design Seeds featuring pumpkin soup to make cards. Unfortunately with my printer sometimes what I see on my screen and what prints are different. However, I attempted to get as close as I could using the color picker in Studio to duplicate these colors. Also the leaves on this card started out being the two orange colors. Opps! I forgot when inkjet ink gets wet it bleeds. They did however turn out I think really cool. O.K. Without further ado here is my card. The pattern paper,flower and sentiment is from the Thanksgiving free digikit from Daisy Trail. If you do not want to pay for Craft Artist in order to use the kits you can download Craft Artist Compact and export the files to use in Studio or another program. I also discovered that some of the images I could do a cut and paste with. Others did not copy well. I did use Craft Artist to manipulate the words before exporting. Then it was easy to trace them for cutting and resize. I did use Dimensional Magic for the button in the center of the flower. The scallop label and leaves are free library files in Studio. Normally I would cut out two of the label files but in order to save paper I layered the smaller and set the lines to no cut. After the leaves were cut out I crumpled ,unfolded and with my foam cosmetic sponge dabbed on vintage photo distress ink. Then crumpled them again and got them wet squeezing the water out. Paper is delicate when wet so if you do this carefully unfold them. I decided to tie the orange ribbon around the pattern panel. After much playing around I ended up tying a square knot and notching the end to match the leaves. It looked too stark to me but everything was already glued down. Then I spied a piece of scrap drywall mesh which was the perfect length so heat embossed with gold. After gluing it on I just had to trim the one side as it was too wide. I encourage you to join the card challenge which will run through the end of October. If you want to fill with color in Studio the easiest way is to snip the color palette and copy and paste it into your work space. By the time you read this I'll probably be on a plane or already at my sister's enjoying our play date. I hope to have some pictures to post of some of the projects we do. I also plan to stop and visit with a niece and craft. The snowflake frame is by Lisa Manderachia Here is the link where the frame can be found. Frame Post Is Here I did have to re-size the frame to fit on my card base. I painted the gray card stock I had cut the frame out of with white paint. I wanted to have a rustic feel to the frame. The snowflake was painted with Folk Art Extreme Glitter Hologram paint. The stars were stenciled using Sizzix Dancing Stars embossing stencil. (Who said embossing stencils were for embossing only,) I used an embossing pen and Zing gold embossing powder. The trees were cut out of green craft foam and painted with Folk art Extreme Glitter Peridot paint. The trunk was colored with a Krylon copper leaf pen. The "Happy Christmas" is made using the Ariel font and welded. They were painted with Folk Art Extreme Glitter Red paint. The frame is popped up with 3D adhesive dots. So there you have it my sparkly Christmas card. I can't wait to see what my sister is going to come up with using this frame. Thanks for stopping by. If I did it correct there should be a post on the 1st with the card I made for the October Silhouette Plus card challenge. So do be sure to come back and check it out. Also be sure to check out what the design team did for the Sparkly theme over at Simon Says Stamp and Show. There are some totally awesome projects. I must confess I normally do not make Halloween cards. Unless I'm in a group where everyone is making them. However when I saw at Free Vintage Digital Stamp images of this cool black cat I just had to download and make a card for my granddaughter. To pop him up I used my patented idea. O.K. it is not patented but something I came up with years ago to really pop something up but still be mail-able. LOL! I'm sure it is not a new idea as others have probably been doing it. Aren't I just the coolest cat ever with my shiny hat,eyes,mouth,and monocle. All colored with glittered pens. Luckily Myoriah used her accordion strips to pop me up (see photo below) or I would find myself in that sticky spider web. Ewww! Talking about spider web. The spider web is a shape in Craft Artist Compact a free graphic program. It was exported in the png format. Then traced in Studio using the high filter in order to have nice cutting lines. Normally Myoriah doesn't use the high filter but in this case it worked better that way.It was painted with Folk Art Extreme Glitter Hologram paint. Then the sheer ribbon is woven through the web and chevron panel to hold it on. Less messy that way than trying to glue it down and more casual. (Shh! don't tell anyone I told you but sometimes Myoriah can be a messy gluer. )The Chevron panel was designed in Studio and the colors filled in and turned into a print and cut. Thank you Mr. Cool Cat for your commentary. Here is the view showing my accordion strips. I used one at the top and one at the bottom. As you may notice I used a scrap piece of paper that I tore. Any scrap and any color will do. Whatever image you use it on will squish down when you place the card in the envelope and pop up when the card is removed. The length of the accordion will determine how high it pops up. I hope you like my Halloween card and that I've encouraged you to add dimension to your cards even if you are mailing them. Thank you for stopping by and do come back. Don't know what I'll post next. Right now I'm busy trying to get things cut out for a play date with my sister next month. I may get some paper beads made so that my roommate can make some jewelry for his mom. I can make the beads while watching television. So being the experimenting gal I am I decided to do more experimenting. I already knew that I could heat emboss mesh drywall tape. I wanted though to see what happened if I tried painting over it with glitter paint. Also I have cut shapes out of card stock which has duct tape stuck to it but always simple shape. I wanted to see if I could cut a more intricate design. As well as to see how it would heat emboss. Well the results of heat embossing was not what I expected but I like the resulting snowflake. The snowman is from Free Vintage Digital Stamps. I inked the edges of him with black ink to give him some dimension and colored the candy red stripes with a glitter pen.The background he is on is actually a wheat paste background I made this week using a scrap from doing a print and cut. I was just experimenting with paste paper and this was one of the pull apart papers. The snowflake is a free Studio library file just made a lot smaller. I covered a piece of card stock with ordinary silver duct tape. Alas, I forgot to change blade setting when I cut it out so the smaller pieces did not totally cut out. Never one to waste things I decided to experiment. I inked with embossing ink and coated it with my Recollection glitter embossing powder. Then melted the embossing powder. I like the resulting shabby look.The bottom layer is mesh drywall tape that I coated with two coats of Folk Art Extreme Glitter red. The first coat was a pretty pink when it dried but not what I wanted for this card. As you will notice there is paint in some of the holes, If you didn't like that you could remove the paint from the holes before it dried. Of course if you want to glitz it up but not have to wait for paint to dry you can use embossing powder and heat emboss. Thank you for stopping by today. I hope I have inspired you to use tape in your projects. Perhaps in a way you have not thought to try. Do come back as I'm working on a Halloween card. Wishing you Happy Frugal Crafting till we meet again. I Just Gotta Have These! Moxie Fab World has another incredible Tuesday Trigger and I tell you I just gotta have these shoes. LOL! Not that I could wear them mind you but they are elegant. So here is the trigger image. Although I could not duplicate the colors exactly I love the blue and green combination. I don't know why but for some reason the bows on the shoes reminded me of chevrons so I went and designed a chevron background. Miss Clara is a retired stamp from Free Vintage Digital Stamps. She had the pink already so instead of going and trying to change it I left it as it is. I used Folk Art glitter paint on her shoes and chalks to color the image. As well as a glitter gel pen for the sash and ribbon on her shoulders. You still have time to enter the Moxie Fab World Tuesday Trigger HERE If at this time you don't want to enter I do encourage you to look at the submissions because there is lots of inspiration there. Thanks for stopping by. Do come back because if it works out I'll have a post using tape for a challenge over at Simon Stamp And Show. If not I'll at least have a Halloween post using another image from Free Vintage Digital Stamps. Wishing you Happy Frugal Crafting till we meet again. Summer is not ready yet to let go but Autumn is definitely in the air as the evenings are beginning to be cooler. Over at Cameo Challenge the challenge for this month is Football or Autumn. Well since I'm not into sports and since I already had these cards designed in Studio I'm going to go with Autumn. In the book about using scrapbook embellishments for cards there was a fence card using a photo inside. Fabric flowers were outside on one card and the other card had seashells that had been collected from a beach trip. A pre-made card was used for the card base. I'm looking at it and thinking I can do something similar. So here are my cards. Notice the word is plural.Yes,today you get two for one. The image is one I've had for several years. I took it into an online gif editing site which is no longer up and running. I added falling leaves and the text for a web site. For some reason I've always loved this image so since I could not find the original I went ahead and used it. I inked the edges with distress vintage photo ink. The fence was super easy to make. I drew my rectangle in Studio. Typed a bunch of O's and welded them to the rectangle. Deleted the inside circles and had my fence. Then added a line in the middle of the fence and set the line for perforation. I painted the gray card stock using a bristle brush and acrylic white paint using a light coat of paint as I did not want to make the fence uniform white. While the paint was still wet I inked up my wood grain stamp with gray chalk ink and stamped the wood grain. Where the paint was wetter the wood grain is not as dark. Some of the paint was pulled off but since I wanted a distress look it worked out. On the first card the pumpkins and the leaves were free files in the library. I just deleted the face turning it into a regular pumpkin. I filled both shapes in with color since they fit on the page with the image. The leaf was crumpled up. After opening it up I used a cosmetic sponge rubbing distress vintage photo ink over it. In the past I have then ironed the leaves flat but I decided this time to leave it like it is on the card. I was ready to throw in the towel for the pumpkins but decided to play. I took my green watercolor pencil and colored the stem and drew lines on the pumpkin. I didn't like it and thought what have I to lose . So I took a mister full of water and misted it. I still didn't like it. After using distress ink on the edge and brown and green pencils and misting a few more times I decided to go ahead and use them. They are sort of growing on me. The pumpkin image on the other card is a stamp that my sister scanned for me. Opps! I printed it on gray cardstock. I wasn't thinking. Of course none of you make mistakes like that. I decided to see what happened if I rubbed my orange chalk over the cardstock first to change the color. Then I took my colored pencils and colored. When I was done coloring I took a cosmetic foam sponge to rub over the image to soften it. There you have my two Autumn cards. I had lots of fun making these fence cards and now have ideas to make more in the future. I hope I have inspired you to look at cards and see if you can put your own spin on them. Also I encourage you to join in the Cameo Challenge. LOL! That button across from comments that clashes with my background will take you to the blog with details. Oh did I mention that there is neat blog candy to win even if you don't enter. So check out the blog hop and win some blog candy. Just leave me a piece or two. LOL! I want to play with making some background this week so I'm not sure what I'll be posting next. Do come back though as you never know what I might come up with next. I realize that I just put an Autumn background on my blog here and I'm talking about Christmas cards. To be honest I promise my next card is going to be an Autumn card. I can't promise though that it will not be vintage as the image has a vintage look to it. This window card was inspired once again by the book on using scrapbook elements for cards. The book used a card blank with the window already cut out. They used a metal frame for the front...mine is cut out of card stock. The background for the picture was a metal sticker...mine is card stock. I decided that I didn't want to cut out a square or rectangle. This image begs for something special. I took a free frame from the Studio library for my shape. I used that shape also for the actual frame and for inside the card. I ended up having to make two frames as I didn't think about the outer frame showing on the inside the way I had it sized. Opps! The frames were heat embossed with Recollection eggplant embossing powder. I love this powder so much that I think I better see if Michaels still carries it and if they do purchase another bottle. Originally I was going to paint the background for inside. However while cleaning I came across some Mylar wrapping paper I bought a few years back at a Dollar store. I glued a piece on my shape by brushing white glue on the shape. Then when the glue was dried trimming it to fit. Usually when I fill an image I do it as a pattern. However, I did not want to fiddle with scale and panning so this time I used the crop option in my software for the picture. So there you have my sweet Vintage Christmas card. LOL! And that gray card stock I bought by mistake is beginning to grow on me. It works here great for a vintage card. I hope I have inspired you to use what you have on hand. Also that I have inspired you to take someone else's idea and make it your own. I hope it will cool down so I can get back in my craft room and cut out what I need for my Autumn card. I have two different cards using the same layout and images but different embellishments in mind. Wishing you Happy Frugal Crafting till we meet again. I saw a card in the book "Creating Cards with Scrapbook Embellishments". Which was my inspiration for making this card. I knew when I saw the starry sky in the book that I wanted to use a angel image that I love. I have no idea where it came from but it has been shuffling over the years from one computer to the next. The only problem was it was too difficult to trace in Studio. I tried last year and gave up. Then I remembered I had a copy of Photoshop Elements. A ancient copy but runs on Win 7. So over the weekend I figured out how to modify the image to work. Originally the image looked like it was scanned from a tapestry so had lots of noise. I probably took too much noise out but I like the softer pastel look. I had filled the background in with black and I would like to say that with my tracing I on purpose left the black edges showing but I didn't notice it until after the image was cut. What a happy accident as I really like it! I wasted my blue metallic water colors painting the background as the glitter and stars pretty much covers it up. But then my regular water colors are somewhere in a box probably marked miscellaneous. The inspiration card used star stickers but I cut stars out of card stock and painted them with silver nail polish. I didn't wait long enough so they were not totally dry and so got a little glitter on them. Opps! I forgot I was going to print everything on my vanilla card stock instead of white. That meant I was going to need to do something with the sentiment tag as it was too stark. I took my antique lace distressing ink and a crumpled up piece of plastic wrap which I inked and stamped on the tag rotating my hand while stamping. I had never tried that before but decided to try it and like the effect. Of course I tried it first on a scrap piece of paper. I sprayed my painted panel with adhesive and put the angel lightly down so I could arrange my elements where I wanted them. Alas my dog jumped in my lap and the stars went flying before I could place them. One got lost somewhere and I'll probably find it stuck to my shoe or something. However, since I needed to work while the panel was still really sticky I had to forget about putting a star near the sentiment. Once the stars and sentiment was in place I set aside the angel and sprinkled the panel with my glitter. I have no idea the brand of glitter but I have had it since my son was in elementary school. I love the stars in the glitter. Oh if glitter could talk the stories it would tell about crafting with my son. On the inspiration card the metal frame was attached before the glitter but I wanted to pop up the angels so they look like they are in the air, All sticky places must be covered so there is glitter under them. Some of the glitter stars were standing on edge so I took my hand to smooth them down and to make sure that the glitter was down firmly. The only thing wrong with this card is it is so pretty I don't want to give it away. I will have to keep reminding myself of how much joy whoever I give it to will get. Are you ready to get out the spray adhesive and glitter and play? It doesn't have to be a starry sky. You could make a card for autumn with leaves and glitter or a winter card with snowflakes and glitter using this technique. The possibilities are as many as the stars in the sky. If you have an adhesive machine you could use that instead of the spray adhesive. I just keep forgetting to use mine. Plus the spray adhesive is cheaper. Thank you for stopping by. Do come back as my next project will be a unique window vintage Christmas card and I don't think it will have a speck of glitter on it. LOL! Yes, I know I'm on a vintage kick. Then after that I have an interesting Autumn card in the works using a vintage image which I modified years ago. Oh and in the meantime I'm going to find a place to bury the stone I bought in a shop to inspire creativity because my creativity is working overtime. LOL! Yes, the same sage green card base,the same pattern paper as the last two cards and the same Santa image as the last card. What is different is the glittered stars and the sheet music. I have a bunch of sheet music that I guess could be called "Vintage". LOL! Of course maybe that makes me vintage now. I love how the sheet music is often decorated not just the cover. With this one I loved the design on the top so knew I had to do something with it. So I went ahead and traced it in Studio. For some reason the Merry Christmas on the background tag did not print even though I had filled in the letters with color. Only the outline of the letters printed. :( so I ended up using my copper marker to carefully fill in the letters. Also the tag outline did not print as dark on the background as shown in Studio. I tried cutting the tag out separately but every time the M messed up not cutting cleanly so I gave up.The Santa image is edged with distress ink and then pop dotted on the card. O.K. I promise no more cards with vintage Santa for awhile. LOL! And no more Sage Green card bases with the same papers. LOL! I can't though promise no more vintage or no more glitter. When I think of Christmas I think of shiny things. Thank you for stopping by and do come again. Wishing you Happy Frugal Crafting till we meet again. Oh the things I do for crafting. I had to open a bottle of hard lemonade in order to have a twist cap as I was one short. My blog followers have really been derelict in sending me twist caps. LOL! So if this post doesn't make sense now you know why because I'm sitting here drinking hard lemonade. The idea for the card came from the book "Creating Cards with Scrapbook Embellishments:" However, the card in the book didn't do anything for me. So I sat down today to design and put together my own card using the bottle caps with the word joy like in the book. This card will be hand delivered. You could do something similar but leave off the bottle caps for mailing. Instead do an offset of the circle the letters are glued on and perhaps cut it out of pretty wrapping or decorative paper. You guessed it the card base is a sage green pre-made blank card which I'm not too crazy about but it works for these vintage cards. The background panel and the circles on the twist caps are from Cajolines "Vintage Christmas Mini Kit:. The vintage Santa was a free Dover Publications sample a few years back which I turned into a print and cut.The letters were cut using the Cooper Black font. I inked the edges of the green pattern panel with a pewter marker that appears to be almost empty. I really need to get metal leaf pens for doing borders again. I inked the edges of the Santa image with vintage photo distress ink. A little tricky getting into some of the places but a Q-tip inked helps. The letters were embossed with silver heat embossing powder. Not an easy feat. I decided to leave them looking rough instead of fiddling to get them smooth.The twist caps are put on the card using dimensional foam. Thank you for stopping by and do come back as I will be making another card using the same vintage image and background that is perfect for mailing and different from this one. Over at Silhouette Plus there is a Christmas card challenge going on. Not just any Christmas card though will do. The challenge is to use elements from a kit and use the print and cut technique. One of the links for free kits was Cajoline Scrap. Believe you me you could spend hours looking through all the free kits. I was going to share the link where I found the kit I used but I can not find this particular one among the myriad of free Christmas kits.I even entered the folder name in search it is Vintage Christmas Mini Kit if anyone would like to try to find it. Here is the card I finished today. I think I should have made a winter scene as it was 90 degrees before noon today. Luckily I had things cut out so could put the card together in my cooler bedroom. I bought over a year ago a package of assorted pre-scored blank cards. I'm not all that thrilled with this particular color but thought that it would go good with this card. I also had an aha moment. I could tape the edges and paint the card base leaving a border of the original color. Since I bought two bottles of the red extreme glitter I decided to see what that looked like. (I would use a thick paint if you decide to do this. I think the thinner paints would bleed inside. Of course you might like that effect.) I decided that I liked the splotchy effect so went with only one coat. I did a print and cut on the kraft cutout Santa. Then edged with my vintage photo distress ink. The button was also in the kit and is a print and cut. I made a larger button and filled it in with the red polka dot paper in the kit. However, I did not like the color when it printed so in my printer setting changed it to print in Sepia with a dark contrast. I am going to have to use that setting more often to change things. I was going to heat emboss with clear enamel the buttons but decided to leave them matte. Originally I was also going to put the buttons together with my copper wire. Alas although it fit in the holes it was too stiff. While looking for thinner wire I found a piece of raffia and thought that would be perfect. As much as I would have loved to have done a sketch of a print and cut my Silhouette pens no longer sketch although I can write with them by hand. I am very disappointed in the Silhouette pens. I can not justify spending money on a pen holder at this time. LOL! Besides I have way too many ideas to keep me busy for the rest of my life. Have I inspired you to try a print and cut for a Christmas card? It is none to early to start on Christmas cards if you haven't. Also have you been inspired to try a new technique? Perhaps painting on a card like I did here with glitter paint. Or finding some metallic or even regular water colors to play with straight out of the tube. Thank you for stopping by and do come back. I'm not sure what I'll do next. Wishing you Happy Frugal Crafting till we meet again. Wow! September has just begun and this is already my second post. Hopefully I can post more regularly in the near future. I was looking through my stash of cards for a birthday card and realized that all I have is generic cards which I personalize when I add a sentiment before sending. I have made birthday cards for someone special but a lot of times I have a friend who wants a birthday card and wants it now. Lol! 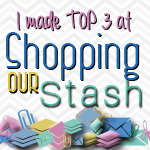 Since they buy a lot of my crafting goodies when we go shopping I like to keep them happy. O.K I can hear some of you saying about now would she just quit her rambling and get on with it. The gingham background that is stamped on is actually a beverage napkin. I found these at Michaels in both yellow and green gingham in a sale bin. I got out of storage my iron and cleaned it off. Ummm it was rather dusty as I seldom iron anymore. I grabbed a roll of generic plastic wrap. LOL! It was left over from the days when I would demo Press and Seal and the company would send me a generic roll to show customers the difference. LOL! Every time I would demo they would send me a new roll of the generic. I know I know I'm getting sidetracked again. Place your card base on a piece of paper. You don't want to ruin with melted plastic whatever you use to iron on. I cut a piece of plastic wrap just a little larger than my card base and placed it on the front of the folded card base. Of course if you wanted the napkin on the front and back you wouldn't fold it. Then I placed my napkin which I had separated so it was single ply on the front. I suppose you could just cover a section but it would be a little more trickier when it came to fusing the napkin on. Place a piece of paper on top. The first time I messed up but luckily it was easy to peel the napkin off and start over. Do not start by pressing with the iron. Ummm it sort of moves your napkin. Set your iron to wool and when it has heated up place it down and let sit for a couple of seconds. Then move your iron. Keep moving your iron until you have covered the whole area with your napkin. Then you can go ahead and press to make sure that the napkin is down good and tight. If you are going to stamp on the napkin you can do it before the fusing. For me it worked better doing it afterwards. I played with my inks and decided to go with the teal Stazon. It did not show as well on the green napkin. I tried heat embossing but for some reason ended up with brown spots which depending on the look you are after may be all right. I want to try with the white layer to see if I get them. Could be there was some sort of residue on the top layer. By the way if you are having a party using a solvent or permanent ink you can stamp on the napkins and not have to worry about the ink transferring as people use them. I have not tried my colored pencils yet on a stamped image on a napkin. I did think it would be fun to use my liquid pearls on the heart on the watering can. I don't think I did too bad considering it was my first time using it for something other than faux pearls.I thought of using Stickles on the butterfly but was afraid of messing up. The flourish was left over from another project. I sprayed adhesive on it and sprinkled fine silver glitter. I welded the phrase in Studio. I had seen a birthday card with flowers and the sentiment and thought it would be perfect for this one.The font is Lucida Calligraphy. I love this font but with certain letters like the M and W it requires some point editing to get them to cut out without tearing. Especially when they are this tiny. I decided to try my Folkart holograph extreme glitter paint. I gave them two light coats. I was surprised that they ended up having a pink cast and don't know if the gray card stock I used had anything to do with that. I spray the back side of words this tiny with adhesive glue or run them through my adhesive machine. Have I inspired you to check out those bins with napkins and use them? I definitely will be looking at buying more napkins. Especially since there are all kinds of interesting ones out there. That's all for now folks. Thank you for stopping by and leaving me some love. Do come back to see what I have up my sleeve next. Wishing you Happy Frugal Crafting till we meet again. It has been awhile since I have entered a Moxie Fab World Tuesday Trigger. When I saw this image though I could not resist. I love everything about it. Especially the hexagons and the vintage feel. Normally I do not take pictures of my cards laying down but in order to show the lace which is glued inside and peeks out on the outside I had to do that. The lace was dipped in coffee and then ironed between paper towels while wet. The paper towels absorbed the extra coffee making the lace lighter. (I have to use that decaf instant up some how. I don't even drink decaf so have no idea how it ended up in the house.) Of course if you want a darker color you can let it air dry. 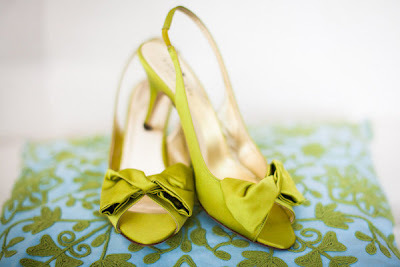 If you are worried about it being acidic of course there are other ways you can color lace and ribbon. Originally I was going to hand stitch on the circle. In fact I used the offset and text to path and periods to make my holes. LOL! The paint nicely covers those up. I decided to play with my tube metallic water colors. I squirted blobs of paint on the circle and used a cheap bristle brush with a pouncing motion to cover the card stock. When dry I dropped puddles of water in different places and blotted with a paper towel. I love how it ended up looking like copper which has been heated or is developing a patina. I played around a lot with patterns to fill the hexagons. I finally decided to go with just one pattern and use the scale and pan option in my software for my cutting machine. I filled with color the plain hexagons using the color picker tool. Alas though the lightest color looked great in the software but didn't print out a color. I decided to make a darker blue hexagon picking the blue from the seam ripper. I think it helps to balance the card more. 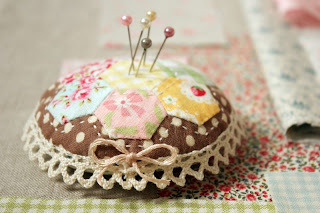 I thought it would be fun to have the middle hexagon a sewing graphic. Alas it didn't stand out when I was playing with how I was going to arrange the hexagons. I wasn't sure how it was going to work using brown shoe polish but figured I could always print and cut another one out. I love the final color after buffing it. I was pleased to find the picture of the seam ripper. It traced beautifully in my software so I could make it a print and cut. "Keep Calm" seems to be a trendy sentiment so I decided to come up with my own. LOL! I won't tell you how many times I had to grab the seam ripper while trying to remain calm back in my sewing days. So the sentiment could either mean to take out stitches or stay calm and go for something your heart desires. I hope I have inspired you to perhaps try this challenge or to try a new technique or two. Thanks for stopping by and do come back. 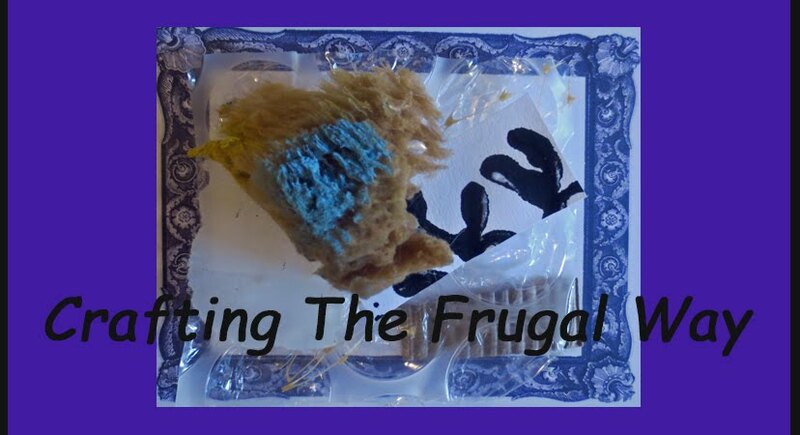 Wishing you Happy Frugal Crafting till we meet again.